Yup, a bit wider, plus a side-edge to side-edge display, could definitely accommodate a 16:9 5.1" display, with room below for a function area OLED display with integrated Touch ID as a display layer. Very excited to get my hands on one of these. The current 7+ screen is right the edge of the camera bump same length as the new chassis according to the case. 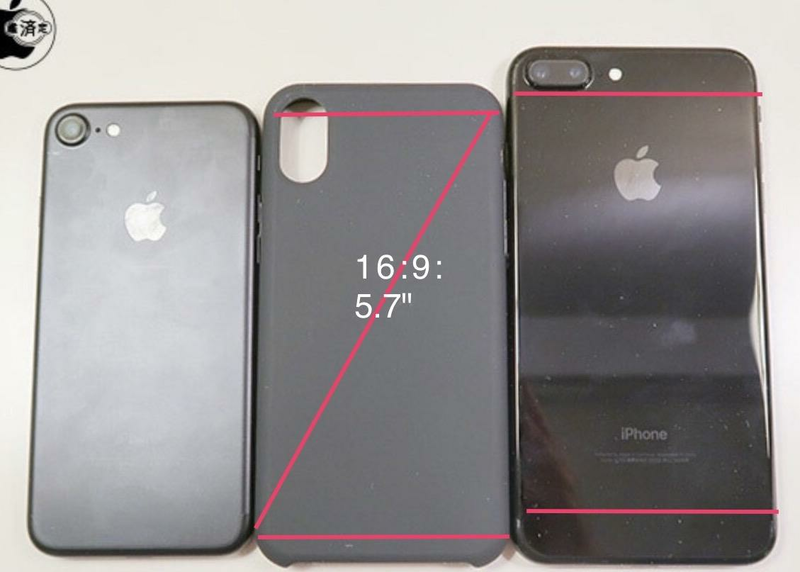 So, if Apple reduces the top and bottom bezels in half, this new phone could be still 5.7". One thing that's only just occurred to me. If they shift the cameras to a vertical position, how are they planning on getting rid of the top bezel? Everyone wants edge-to-edge screen, and reduced top and bottom bezel, and everyone's been talking about getting rid of the home button to achieve this, but no-one's really looked at the consequences of changing either the camera orientation at the top, or reducing the top bezel. As we've discussed before, there are a number of reasons for the top bezel, including the two cameras, and the speaker. There's a limited amount of space for the rear camera as it is, and putting it behind the screen constrains that even more. I'm curious as to how they're going to address that - whether they have a smaller camera assembly or a thicker phone, or a bigger "camera bump". Even moving the cameras to a vertical arrangement without changing the top bezel, means that part of the assembly is behind the screen, which will create the same problem. These prerelease "exclusives" based on case designs have become something of an annual carnival sideshow attraction on the Apple gossip-blogger sites. With inexpensive 3D printers the cost of making a mold or prototype has become very affordable so the cost of fabricating a few plastic bits just to "sell" a bloggers story is minimal. At least it keeps us mildly entertained during the boring periods between legitimate product announcements from Apple. 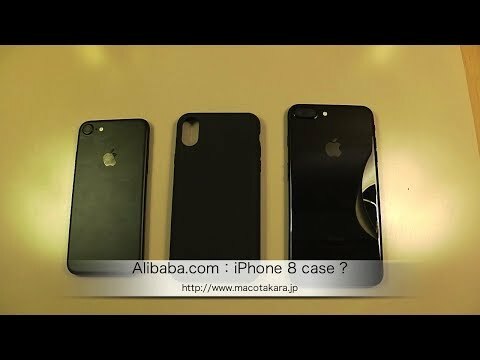 BTW, the insider exclusives about the iPhone 9 have already started to circulate. Well, eventually, one will turn out right cause they will eventually start production and that can't be hidden. My guess, as you suggest, is a bigger camera bump. Surely the reveal will be in September, not next month. Alibaba has been right on the money before and as they build cases for many smart phones and in huge quantities, it may be something to hold on to. The year before it is rumors of rumors of rumors. In January it is rumors of rumors. Are we now down to just rumors? ?